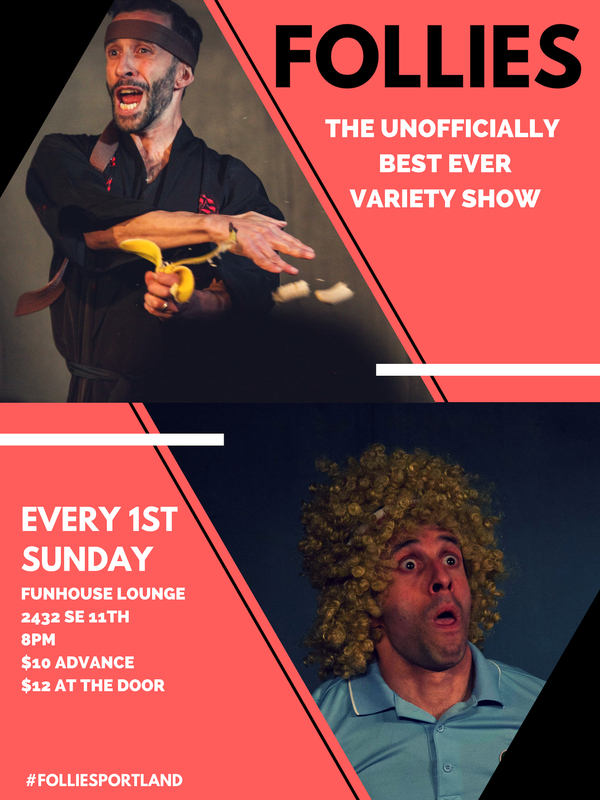 Yes People of Portland, the best ever variety show is back in town! The European tour is over and Follies is back to offer you more of the best of the best of the Northwest funniest guests! Follies is Portland’s ONLY sketch and physical comedy showcase, currently running SEASON 3 (!) at the Funhouse Lounge. Follies is created and hosted by international Italian performer Stefano Iaboni, whose influences include Andy Kaufman and Monty Python. Expect to see Stefano performing alongside a fresh line-up of talent each month as “Follies” brings together a wide range of local and imported artistic talent every first Sunday of the month at 8:00 pm.